Posted in Food, Kathmandu, Marriage, Move, Nepal	by Ms.Z. Sometimes I find myself tangled in my own thoughts trying to decipher what group of people in Nepal I belong to. I am not Nepali, clearly. My ghost-like skin always gives me away, though I do like to think of it as aristocratic. But I’m digressing. I am not a 100% expat either. I live in a Nepali household, with a Nepali family. Does that make me half-Nepali? No clue, but in the past year and a half I did move towards Nepali customs more than I expected I ever would. My horoscope sign is a Virgo. For all of you who are not familiar with horoscope, let’s just say Virgos are obsessive-compulsive. I also hold a strong opinion that characteristics of a Virgo were tailored according to me. It’s that precise. I cannot be late, or have anything be out of place, untidy, dirty… everything needs to be perfect. But I move to Nepal and what happens!? I start adjusting to Nepali time. In other words, no matter how hard I try, I seem to be late for everything! And the worst part? I’m not even phased by it. What is happening to me? Am I turning Nepali? I don’t want to make it sound like I’m bragging, but I’ve always been very polite. I would let people with less items jump in front of me at the cash register, I would let pedestrians cross the road even if I’m in a hurry and others behind me are honking, I would exercise perfect driving culture politely letting others merge into traffic in front of me and wave thankfully to the ones who do the same for me. But I move to Nepal and what happens!? I start driving like I am the only person on the road, pushing and shoving my way through heavy traffic, honking at others angrily and closing every little bit of space between me and the car in front of me so no one can cut in. I also only sometimes let pedestrian cross in front of me. Preposterous! What is happening to me? Am I turning Nepali? I am a huge dessert person. Sweets make me enter a state of consciousness unknown to modern science. When I look at, make or eat wonderful varieties of cakes and cookies, I am in bliss. Nepal disappoints in that area. Most of the cakes here are OK, but not very different from one another. There seems to be no creativity in that department. Maybe that’s the reason the most favorable dessert amongst Nepalis is vanilla ice cream. Yes, vanilla ice cream. The same one I at every summer when I was a child and swore I will never taste it again. Ice cream is even served at weddings! Say, what??? But I move to Nepal and what happens!? After being shocked by this discovery for almost a year, I now find myself ordering vanilla ice cream in all shapes and forms – with a brownie, with an apple pie, and I even eat it at weddings. Even in winter! Gasp. What is happening to me? Am I turning Nepali? This last exhibit is most probably the most shocking one, at least for me. When I feel under the weather, as if I’m catching a cold, I usually crave chamomile tea with honey and lemon and some soup. Maybe also porridge or something warm, liquidy and easy to digest. I stuck to that even here in Nepal for the past year and a half. And it usually made me feel better. But you know what happened the other day? I was feeling a bit down, sick-ish at work and all I could think of is how I’m going to rush home, warm up a plate-full of rice and daal and devour it. And so I did. And it felt good. Scary good. What is happening to me? Am I turning Nepali? Posted in Kathmandu, Marriage, Nepal	by Ms.Z. I’ll just pretend I have not completely been missing in action for the past three months. I’ll pretend that never happened and I did not forget my blog is in existence. What matters is that I am back now. And back I am – married again. Yes, yes, Mr.B. 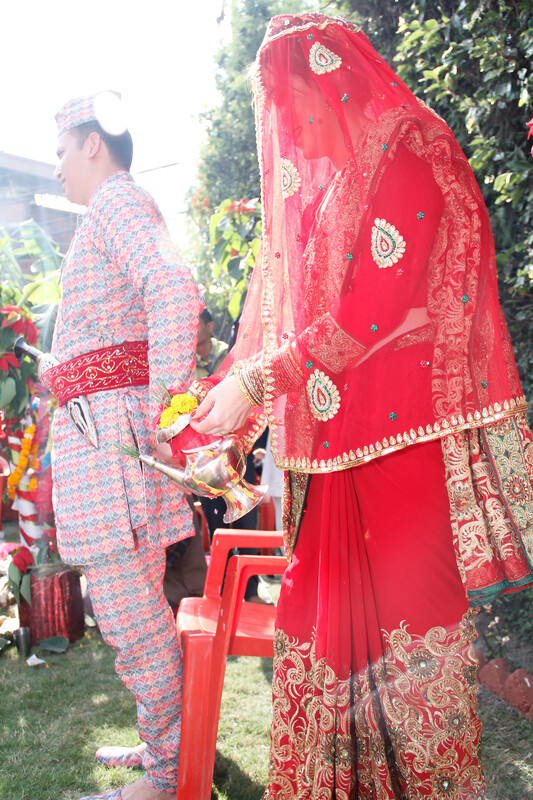 and I finally had our long-awaited Nepali wedding. It was interesting. And totally confusing, crazy and different. And colourful. And full of stuff I didn’t understand. But it was fun. Loads of fun. I kind of feel glad that we waited this long, as I am more settled in Nepal now, more comfortable, and I actually have friends who could attend. It made a huge difference for me. Before I would’ve probably felt like I am attending someone else’s wedding, whereas now I got to enjoy it. It was helpful (and extremely nice) that my parents could make it as well. Here, for all your curious souls out there, photo is below. You must be wondering what it felt like to be a Nepali bride. Or maybe you’re not wondering, but I’m going to tell you anyways. 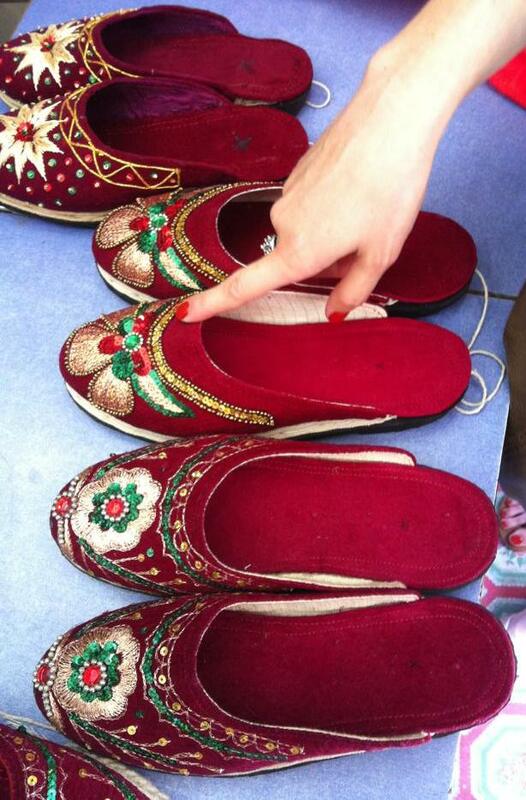 Being a Nepali bride is not easy. It’s not like: I’ll put on my lovely dress, slap on some make up and dance the night away. Oh no no, my friend. Being a Nepali bride is the following: you wake up very early in the morning so people can start working on you – working on your thick and heavy make up and intricate hair design. You get a veil stand attached to your head. It’s essentially a tiara, but a less fancy one. It’s also way more painful than a tiara. I spent the rest of the day trying to move it around as I felt it digging its way deep into my skull. After many layers of makeup you are finally ready for the wedding saree. 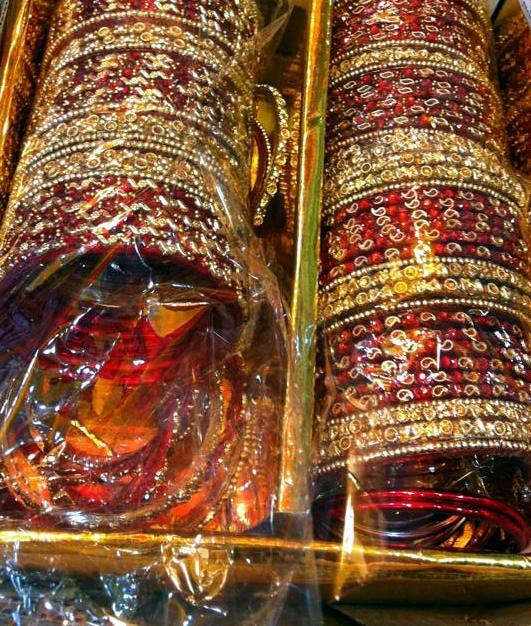 Wedding sarees are beautiful, but don’t be fooled, they are heavy. I was lucky – mine was only several kgs. I heard of Nepali brides wearing up to 20kgs worth of clothes and jewelry. Walking in it is kind of heavy and difficult. At first I was afraid I was going to be cold in a saree, but boy was I wrong. If I could’ve taken layers off me, I would’ve. Not possible in a saree though. Once the ceremony begins you are to sit with your future current husband by the priest and do whatever the priest tells you for the next several hours. Most of the time you have no clue what’s going on. I felt the sun burning the back of my neck like I’ve never felt it before. It was a bit annoying, but not unbearable. After all, I was marrying Mr.B., again. The ceremony itself was fun. Games are included – suitable for the whole family. All played. Or at least pretended to be a part of the fun. Just when I thought the ceremony ended, it turned out we only got engaged. We were only half way there. I think I might have dozed off for a bit, I don’t quite remember. I do remember looking at our spectators, guests, and thinking how bored they must be just sitting there. I was somewhat bored at times, and I was the bride! Anyhow, the ceremony ended and then came the food. I do have to admit, it tasted really good after 3 hours of sitting down, getting up, walking around the fire. The reception took place the following day. What to say? Reception was, well, reception. Lots of well-wishers, food, drinks and dancing. I had fun. For the most part. Except for the first few hours when my heart was about to jump out of my throat. Oh, all that excitement of being the bride. Maybe it was just too much smiling, or too much photo posing, no clue, but all is well that ends well, right? To make the long story short, Mr.B. and I now definitely sealed this deal. We could not possibly be more married than we are at this point. Cheers to that – I am a lucky girl! I clearly remember attending my first Nepali wedding reception a year ago. I was SO excited. I ironed my sari way ahead of time, to make sure it’s all prepared for the evening. You see, I only had one sari at the time. It was a sari I was gifted by my maid of honor when I traveled to India for her wedding a year earlier. It’s a beautiful piece of cloth (look below). Currently, I am a proud owner of more than just one sari. I am, clearly, the one on the right. Anyhow, I had my sari ready and when the time came, Mr.B summoned our didi to wrap the sari on me. I was awkward and clumsy, but an hour later sari was clipped onto my body and we were ready to go. The wedding was in a party palace (a fancy name for a wedding hall with catered food) and was packed with people. Everyone, of course, stared at me, and ladies giggled at me walking clumsily in the sari. I bet laughs and giggles doubled (possibly tripled) when I stepped on my sari climbing the stairs to the stage where the bride and the groom were greeting guests. It was then and there that I made an important note to myself: lift the front of your sari as you climb up the stairs. That one has been a life savior (or at least a face savior) ever since. Upon well-wishing the lucky couple, a glass or two of wine and some mingling, it was time to eat. Nepali wedding receptions always have a buffet and people eat whenever they want to. In a Western wedding you usually commit to attending one party per day and then you stay the whole night, eating dinner at the appropriate time and dancing on cue. It’s nothing like that here. Here, people often attend three or more wedding receptions in one evening. They show up, congratulate, eat their food, dance a thirty-second ego-wrecking Bollywood number with a drunken uncle, and off they fly to the next reception. We (Mr.B and me) usually don’t do that. We commit to one reception per day. It’s only because we’re lazy like that. Going back to the point, my first wedding reception in Nepal was exciting. There was abundance of Nepali food, Indian sweets and ice cream. Nepalis love their ice cream. I had a great time at that reception, and it got me excited for all the receptions to come. Second one was also exciting, but not as much. Then the third, fourth, fifth, sixth came and one by one they were getting less exciting. I realized one thing – they were all the same! Guests were the same, locations were the same, decorations were the same, protocol was the same, music was the same, food was the same… Heck, even uncles and aunties all looked the same. 1. You come in and head straight to the stage. Bride and groom sit there, receive presents and take photos with guests. They also endure an infinite number of aunty kisses and cheek squeezes. 2. You get off the stage (hopefully with your sari still on), and head for the bar. Get yourself a drink. Beer, whiskey, or soda. 3. You stand around, laugh at some awkward dance moves until you are too bored to smile and your feet are too tired. Then you walk around a bit, greet people you don’t actually want to see, and head out for some fresh air. 4. At that point you decide it’s already 9:30 pm and you should probably get some food. Head for the buffet. There’s a choice of: salads, fried veg noodles, pasta, rice, daal, tarkari, paneer in a variety of sauces, naan, chicken curry, mutton curry. 5. You fill your plate with a bit of everything and find yourself a free spot at the table. 6. Eat trying to ignore the waiters hovering behind your back. They stand there waiting for you to finish so they can take your plate away. They do it as soon as your last bite is in your mouth. Literally. It’s quite hilarious. I always have a hard time not laughing out loud. You kind of have to do that thing where you are still chewing, trying to get waiter’s attention by waving a fork that he forgot to take with the plate. 7. Go get dessert. Pastries, gulab jamun, jalebi and ice cream. Enjoy. The best part of wedding receptions in Nepal is getting to hang out with friends. It’s always fun. The worst part? They are all so much alike it’s difficult to remember whose reception it is. 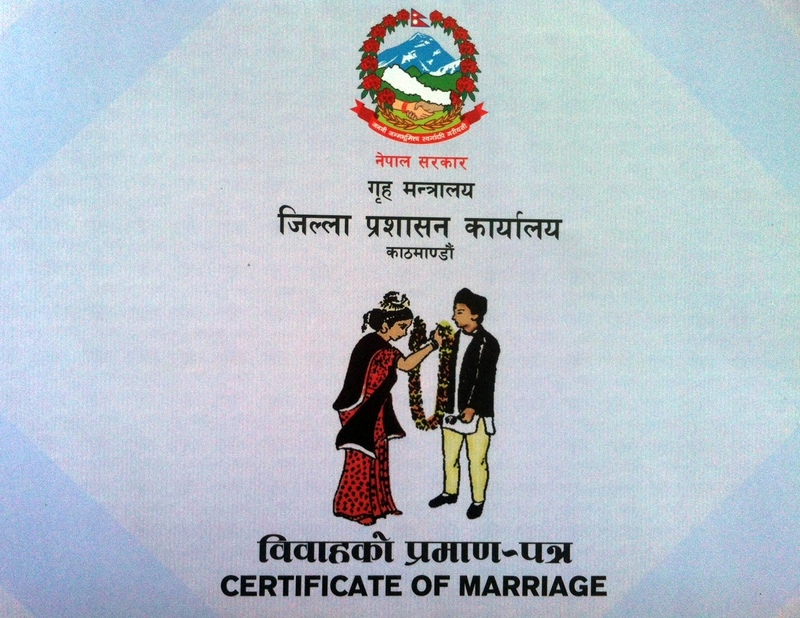 Posted in Croatia, Kathmandu, Marriage, Move, Nepal	by Ms.Z. Today is a special day. An auspicious day, really. Today marks one year from the date I landed in Nepal with my one-way ticket. Is it possible that it’s ALREADY been one year? No, wait. Is it possible that it’s ONLY been one year? It feels much longer than a year, yet much shorter than a year at the same time. It’s completely confusing, I know. So many things happened in this one year, so many new people came into my life, so many new experiences challenged and enriched me. I faced emotional hurdles that I never even knew were possible. I leaped into the unknown with the confidence I never knew I had. I think I grew emotionally (waist-wise also) over the last year. But, enough of the dramatic speech. What stuck with me mostly, you wonder? Here’s the breakdown. 1. I discovered I have a love-hate relationship with dogs. It’s only getting worse with time. 2. Driving on the right side does not necessarily get you into an accident. 3. Modern amenities, infrastructure and technology only hinder romance. 4. Think before you speak is not a common courtesy here, and I should learn to live with it. 5. Resourcefulness of people knows no boundaries. My life in Nepal is interesting and different and exciting, yet crazy and stressful and annoying at the same time. I do think, though, that everyone should at some point experience life in a third-world country. It really puts things in perspective and values in order. It’s an eye-opening, nerve clenching experience. I wonder what’s next for Mr.B and me – how the next year will go and where we will end up in terms of our careers, our relationship, our life together. Hopefully we walk together happily into the sunset. That’s us – walking into the sunset. Before Mr.B and I decided on our wedding date in Nepal, I was told it needs to be within the “wedding season”. The wedding season?, I asked in disbelief. Apparently, there is such thing. Couple of times a year there are certain dates on which people get married. I had no problem with that, leaving the decision up to Mr.B.’s mom. The date was set and I kind of knew that there would be other weddings going on at the same time, but I had no clue that there would be so many other weddings going on at the same time. Trying to get a good wedding venue for those dates was as hard as trying to squeeze your freshly-lotioned legs in skinny jeans. When the auspicious dates came music was blasting all over. I was sitting innocently in the kitchen, reading my book when I heard a horn, and when I say a horn I mean like a brass instrument type of horn, and then suddenly I could tell it was the whole orchestra out there. I thought: oh my, there must be some kind of festival going on! so I went to the window to check it out. I saw all my neighbors up on their roofs with gleeful expressions on their faces, so I ran up to our roof to get a better view of what was going on. To my great surprise and delight what I spotted was no festival. It was a wedding procession! It looked so lovely and so much fun, I was beaming down from the roof. The wedding procession was led by a an orchestra dressed in white and red outfits, and with brass folk instruments. Imagine an American high school band. That’s what they looked like. They were playing this fun sounding tune, sort of like a march, but happier. Right behind them were ladies all dressed in red, dancing their heads off, right there, in the middle of the street. They were looking up to the roofs waiving to their curious spectators (everyone got a bit confused when they saw me, so no one waived at me). Behind them were men with an obvious urge to succumb to the happy music, but instead acting cool and proud. Then came a decorated car with a groom. Cars here are covered in flowers. Not like one big flower arrangement on the hood, like in Croatia, but totally and completely covered in flowers. Everywhere. I have no idea how people even get in and out of these cars. Car was followed by yet another band! Yes, another band. This one was smaller in number, less loud, and not dressed as nicely. But it had bagpipe! A bagpipe! That made me squeak in delight! No bagpipe!? What kind of a band is this!? Well this obviously wasn’t the band that I saw in the street, but you get the picture. I was so happy I got to see that. It was really an amazing procession. So I went back to my book in the kitchen, when again I heard the band with a slightly different tune. But, interestingly enough, pretty soon I heard another one, and another one. And the following day more of them. Wow, people really like to get married here. Our street is pretty small yet so many weddings were going on here in just two days. I can only imagine what the rest of Kathmandu must’ve looked like. I guess that’s what the wedding season is all about. Our wedding did not have a procession. In fact, our wedding had to be postponed to a later date, maybe in the following wedding season, but even then I doubt we will have a procession. The purpose of it is for the groom and his entourage to go and get the bride in her house. Since I am already staying with the groom, that might be a little hard to arrange. But I’m sure the wedding will be special in it’s own way, even without a Nepali guy bagpiping behind our back. Great news! I am not getting deported from Nepal. Not that anyone told me that would happen, but I just assumed that happens to people who don’t sort out their residency paperwork in a foreign country. Figuring out how to legally stay in Nepal has been a challenge. There are no real sources of information that you could trust in terms of regulating your stay here. I knew that once I came to Nepal, Mr.B. and I needed to legalize our Croatian marriage certificate and get me a non-tourist visa, but we had no idea how to go about doing that. We asked around and tried to figure out the correct process, but guess what, there is really no correct process. My understanding is that it all comes down to who you know. I might be wrong, but that’s how I see it. We gathered a bunch of paperwork which Mr.B. filled out because it was all in Nepali; we got many passport-sized photos of ourselves and off we went to a Chief District Administrative Office to submit our case. Fast forward couple of phone calls, and we are now told to wait for 15 days until our certificate was made. We were to come back with three witnesses. 15 days later in we go with some wonderful friends and co-workers (who took time out of their day to do this for us – Thank You!) and, lo and behold, the certificate is not done. Maybe I just had wrong expectations. You see, when they told us to come back in 15 days, I expected to walk in, guy would pull out our certificate, we would all sign in a matrimony registration book and we go home singing. No. That’s definitely not what happened. Here is how it all went down: we walked into a cramped little stuffy office and explained what we needed. After some exchange in Nepali the file was pulled out, dusted off and three separate people took their time going through all the paperwork, only to give it back to the first person who looked at it. Some exchange in Nepali again (be warned: half of the time I had no idea what was going on or what was being said, so all of this is my subjective view of the process). We are given our file and ushered into a room next door. A person sitting there looked at the file, said something, wrote something on a piece of paper, and off we went to a third room. Again more reading and signing. And then a fourth room. No luck in the fourth room – the guy just stepped out for his lunch break. We used the opportunity to get out and get marriage certificate forms. We come back just as the guy came back and in we go. He asks me who found whom, and I, of course, say I was the one who found Mr.B. Apparently that was the correct answer since we got the needed signature and out we went. Back to the first room. We fill our own marriage certificate, but then we are informed we need to go back to room No.3 for some more signatures. Off we go. Signatures are obtained and back to the first room it is. We fill out the matrimony registration book ourselves, sign everything, get some stamps on our marriage certificate and voilà! Done. Just like that. Easy peasy. Not. Liters of sweat and hours later you are finally in our hands! Yes, sir! Next day is the auspicious day for going into the Immigration Office. Again, we are met with lots of desk to desk, door to door shuffling. For me it seems even more obnoxious and useless since I have no idea what they are all saying and I don’t know the reasons for being sent from one door to the other. All of the bureaucrats there looked at our file with utter disinterest, not to say disgust discarding it in a pile of others unfortunate foreigners hoping for a fair process. It all felt like a court trial of the worst kind. Apparently, luckily, the immigration officer took a liking to us and was very accommodating promising that he will speed up the process if we come back tomorrow. Mr.B. went in the following day and I don’t know what he did and how many doors he had to knock on, but I am sitting here on the couch right now looking at my non-tourist marriage visa stamped in my passport. I am a temporary resident of Nepal for the next year. It seems like I haven’t written on this blog in ages. I know I’ve posted several days ago, though I have not really written anything. Inspiration has been eluding me lately, but in all honesty, I think I am simply plagued by a serious case of laziness. 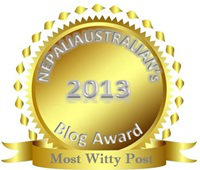 So what have I been up to in Kathmandu? Well, for example, today I got up early and then sat down on the couch at around 9am. I have not gotten up until 3pm when delivery guys brought in some new furniture. I was so surprised it was already 3 pm, and in panic realized I have not even brushed my hair today! Laziness I say. Previous days have gone by in preparations for the wedding. Yesterday Mr.B. and I spent the whole day out and about shopping for all the little wedding necessities. Had it not been for our awesome sister-in-law, nothing would have been bought. She knows all the nooks and crannies of Kathmandu shopping district, and is also amazingly good in bargaining. 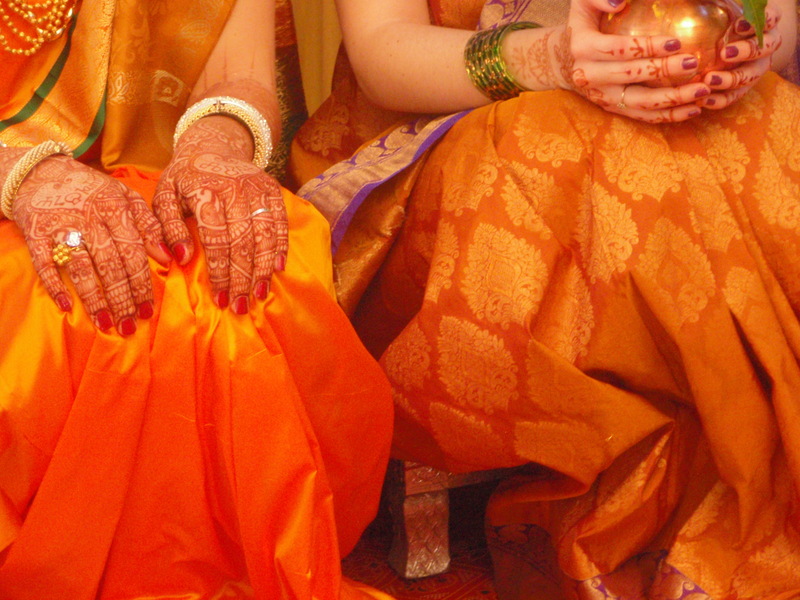 I totally relied on her to help us out with everything: the bangles, tika, shoes, saree, blouses… everything. Have I mentioned she is awesome? We got it all done, and without food too! I cannot believe we starved our helper almost to the point of collapsing. But she was a trooper and took it all without too much complaining. Other days have gone by in hanging out with cousins and relatives who have travelled from afar for our wedding. I cannot believe the wedding is happening in just couple of weeks! I am so excited, and yet somehow, so terrified. I feel really happy though that the whole family will be there, and I am equally excited about having friends over and celebrate with us. Mr.B.’s friends are a blast. It’s never boring around them. Jokes are being thrown around, puns are being purposefully used and laughs are gladly shared. They have welcomed me into their small clique with open arms and I feel like one lucky lady. Except for when we go to the theater to watch zombie movies. Then I feel like one scared lady. (We went to see World War Z, and the next morning Mr.B. freaked me out pretending to be a zombie and making that god-awful sound with his teeth – from now on, romantic comedies ONLY for Ms.Z.). Life in Kathmandu is slow and easy, and I am enjoying it. I sleep, I eat, I watch tv, and then I repeat the whole thing again tomorrow. I love it for now because I know that, before soon, I will be back amongst the working crowd, wishing for some time off.